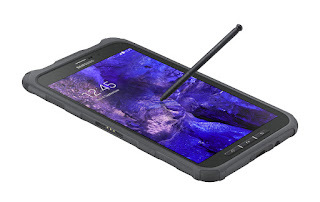 Finally, Samsung has launched a Rugged Samsung Galaxy Tab Active 2 in the US. The smartphone is the first of it's kind. As the name implies, it is a strong smartphone which can withstand harsh conditions. The Samsung Galaxy Tab Active 2 which have launched in the USA comes with 3GB RAM and 16GB internal storage. The battery is also good, it comes with 450mAh. Below are some key specifications, features.